Sotheby's. The Charles Pankow Collection of Egyptian Art. December 2004. 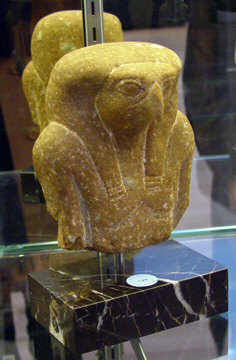 Quartzite bust of Horus. 3rd Intermediate Period, 1075-716 B.C. 6 3/4 inches high. It sold for $7,000. Sotheby's. December 2002. 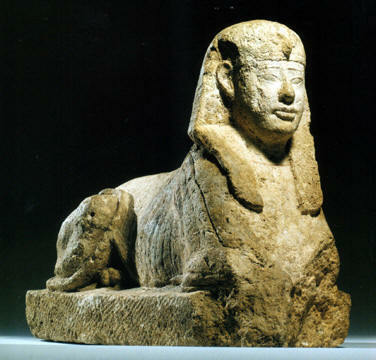 Limestone sphinx of a king from the Ptolemaic Period, 304-30 B.C. 15 1/2-inch high. It sold for $53,775. Sotheby's. June 2003. Granite head of the Goddess Mut. 18th Dynasty, 1332-1319. 14 3/4-inch-high head. It sold for $344,000. Christie's. December 2005. 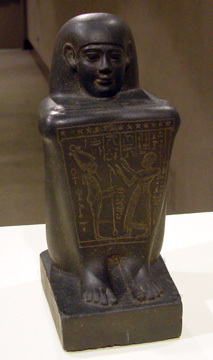 Black basalt block statue of Wahibre, priest of Amen, Ptolemaic Period, 304-30 B.C. 13 1/8-inch high. It sold for $240,000. Christie's. December 2005. 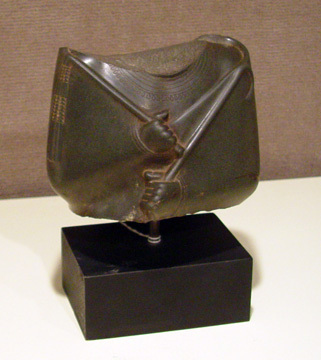 Fragment of a green graywacke statue of Osiris. It sold for $54,000.